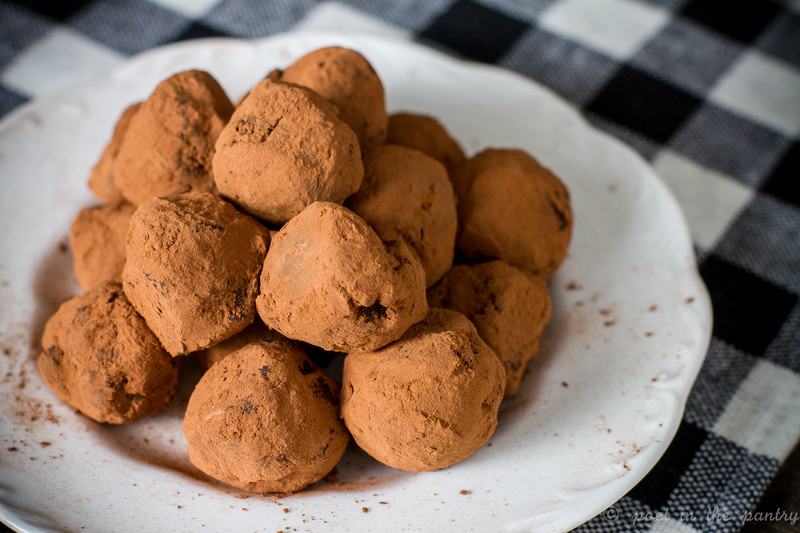 Chocolate Truffles are infinitely adaptable. 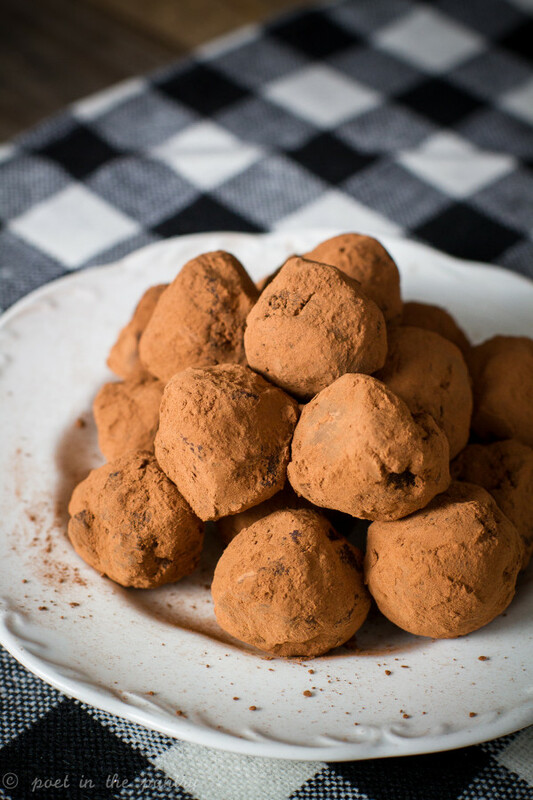 Beyond the ganache–which is simply chocolate and cream–there are so many different ways you can transform chocolate truffles into something new and exciting, over and over again. I really enjoyed tossing some Gourmet Garden Lightly Dried Ginger into this batch. It offered a fabulous fresh flavor without the hassle of grating a ginger root myself. Because clearly, I don’t have time for that! 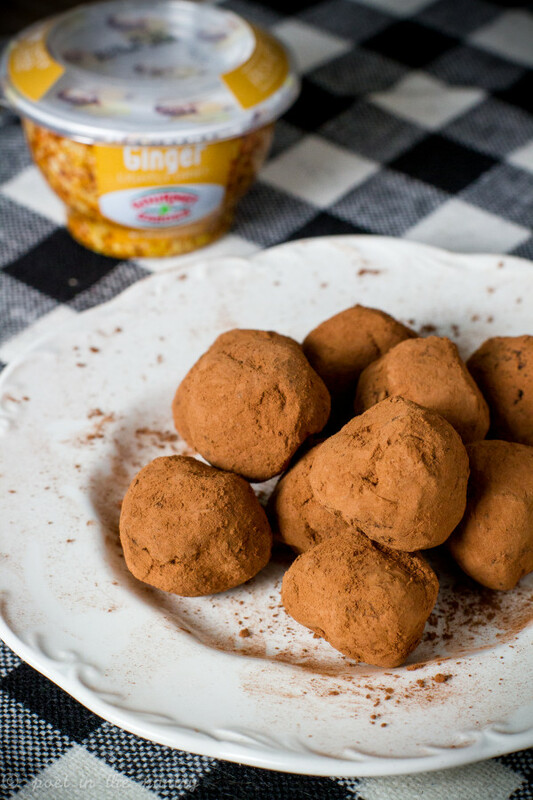 And it will stay fresh in the refrigerator for up to 4 weeks after opening, so I can continue using this ginger in other dishes for the next month–and in more chocolate truffles, of course. Priorities! Here’s hoping we all survive the season! 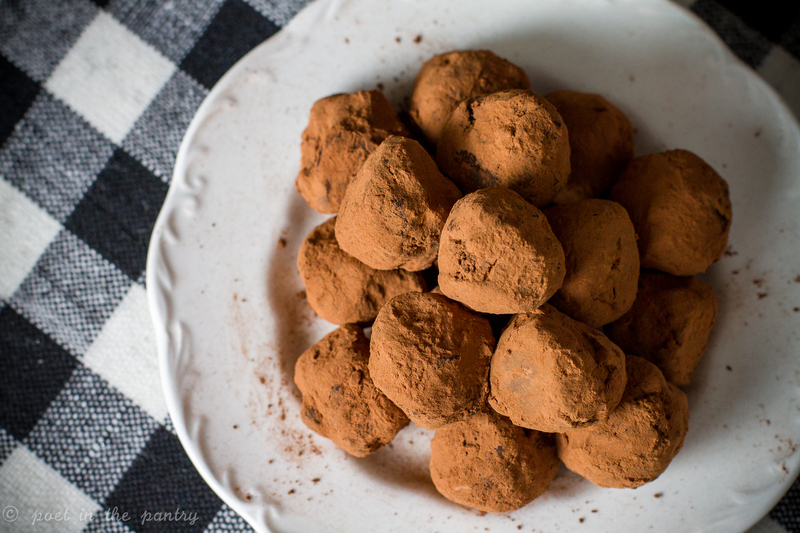 Chop the chocolate into small pieces and dump into a 2-quart mixing bowl. In a small saucepan, heat the heavy cream over medium-low heat until bubbles form on the outer edge. Add the orange liqueur and ginger, then stir until smooth and shiny. Cover work surface with parchment paper. 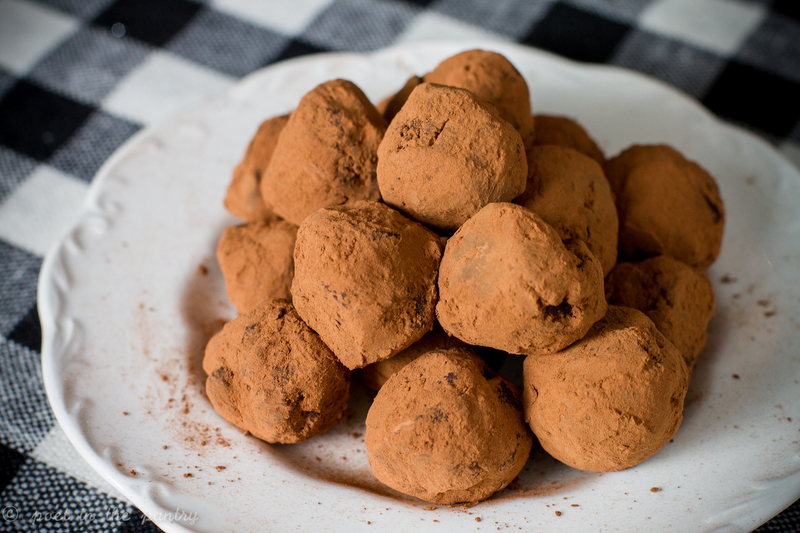 Using a #60 cookie scoop, portion out the chocolate into balls and arrange on the parchment paper. Roll each ball against the parchment paper to tighten up and smooth any rough edges. Roll in the cocoa powder and return to the parchment paper. Store in an airtight container in the refrigerator until ready to eat, up to 2 weeks. 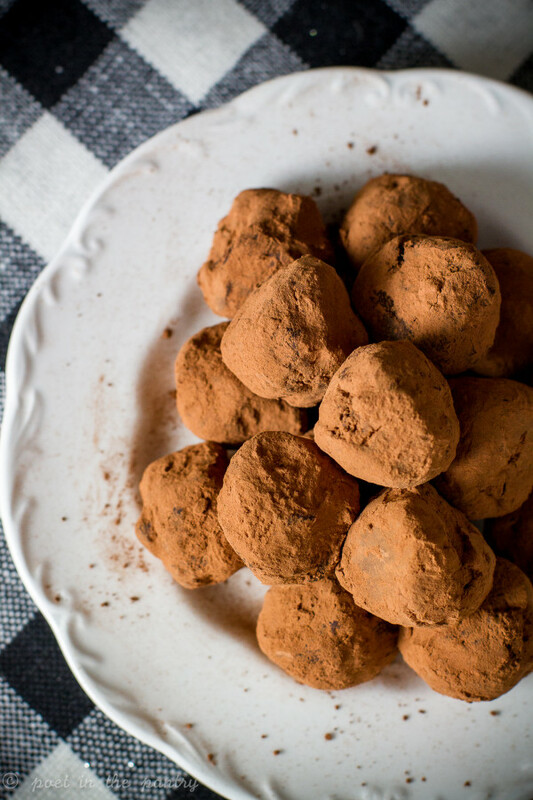 If you leave the ganache in the refrigerator overnight before scooping out the truffles, make sure to let it come back to room temperature before getting to work. This may take 1-2 hours. Chocolate and orange! Such a yummy combo!